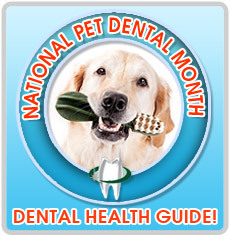 To celebrate, we've rounded up the best pet dental care treats for dogs and cats. 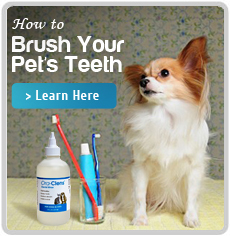 When brushing your pet's teeth is not possible, resorting to dental chews or treats is a great option. However, not all of them are created equal. So, below is our list of the top 10 best dental care treats based on our consumer popularity. 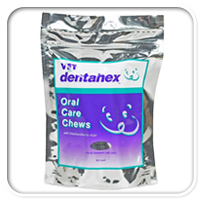 Dentahex Oral Care Chews are coated with Chlorhexidine gluconate. Chlorhexidine, along with the natural abrading action of beefhide, helps to remove plaque and prevent the buildup of tartar-forming bacteria. Looking for a great tasting dental chew? Then turn to Nylabone�s Nutri Dental Care System. It�s a multi-care pet dental system with a great taste for your pet. 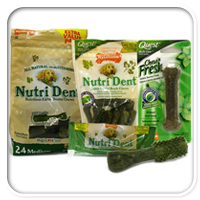 Their pet dental products help maintain healthy teeth and gums. 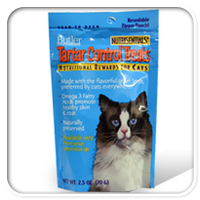 Tartar Control Treats for Cats not only removes tartar from their teeth, but are fortified with Omega 3 that supports a healthy skin and coat. Their crunchy texture acts as an abrasion to remove tartar and clean your cats teeth. Each cat treat is only 1.5 calories! Clenz-A-Dent Treats contain a unique ingredient called RF2. It's of vegetal origin which helps fight against biofilm forming on your pet's teeth. 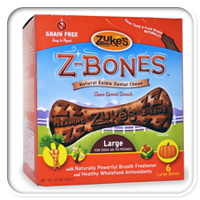 Zukes Z-Bones Dental Chews are natural treats with healthy whole food antioxidants that will help keep your pet's teeth clean. They're Grain-Free and easy to digest. 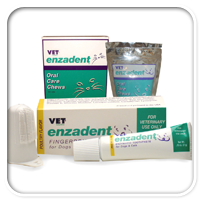 Vet Solutions Enzadent Oral Care Chews by Vetoquinol are one of the most effective choices when it comes to pet dental care. 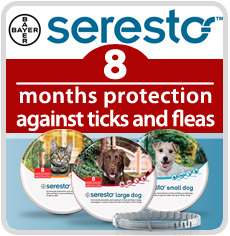 They combine natural enzymes in their products that are normally found in your pet�s mouth to help remove plaque. 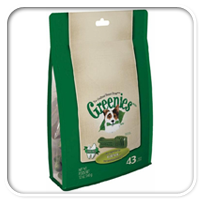 Greenies are in the unique shape of a toothbrush, so they have a better surface for cleaning your dog or cat�s teeth. Since they�re made with a blend of soy and wheat protein your pet can easily digest them. Their chewier and abrasive texture helps reduce plaque. They�re also low in fat with 52% protein for a balanced diet. 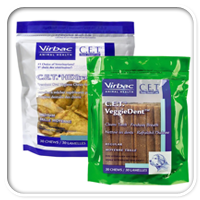 CET Chews by Virbac is a trusted brand and that's why it's amongst our top #3 best dental chews for dogs and cats. These dental chews are made of beef hide that clean your pet's mouth with an added enzyme to stop plaque from forming. 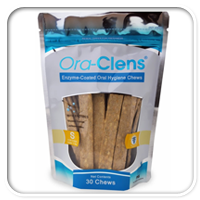 Ora-Clens Oral Hygiene Chews clean your dog's teeth, prevent plaque and tartar buildup while making their breath smell fresh. Dog owners love them because it is a time saver when brushing can�t be done. These dental chews have a texture that is abrasive enough to scrub your dog�s teeth which effectively removes plaque and tartar buildup. Finally, our #1 Best Dental Treat is Bonies! These dental treats for dogs are a huge hit. Dogs and dog owners love them. 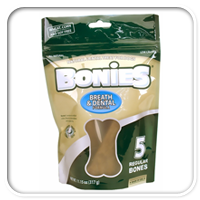 Bonies contain all-natural ingredients so it�s healthy for your dog while freshening their breath. Zero saturated fat! Zero trans-fat!